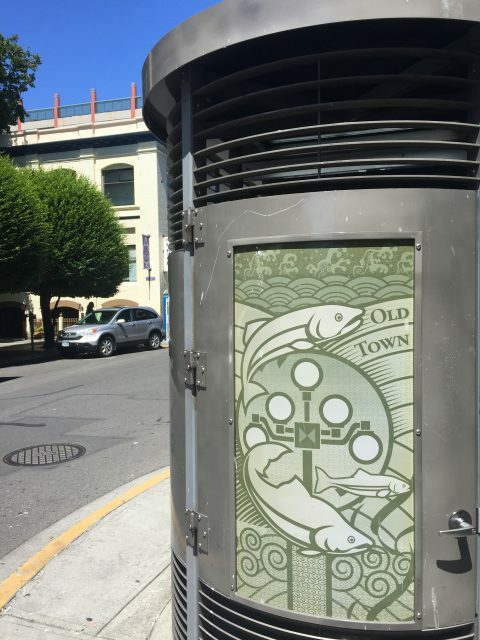 A list of toilets in downtown Victoria that are open for use by the general public. Editor’s note: When we say “accessible” we mean that it meets the guidelines of the ADA (Americans with Disabilities Act), which defines a bathroom stall that should fit an “average-size” (66 cm by 106.5 cm) mobility scooter or wheelchair and also be easily accessible for people with limited mobility. When washrooms have met some ADA guidelines but not others, we make a note of it. For example, if we say that a stall “lacks depth,” we mean that one dimension of the stall was too small to meet ADA-accessibility guidelines. A photo of the Langley Street Loo. 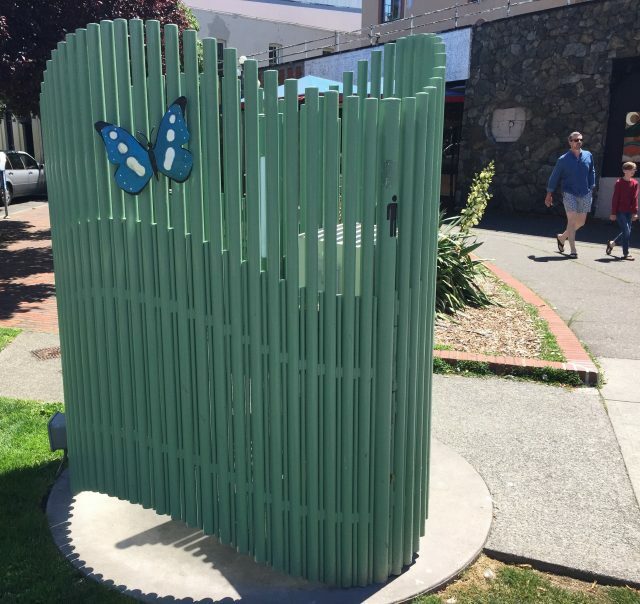 Photo of the Urinal on Pandora street. 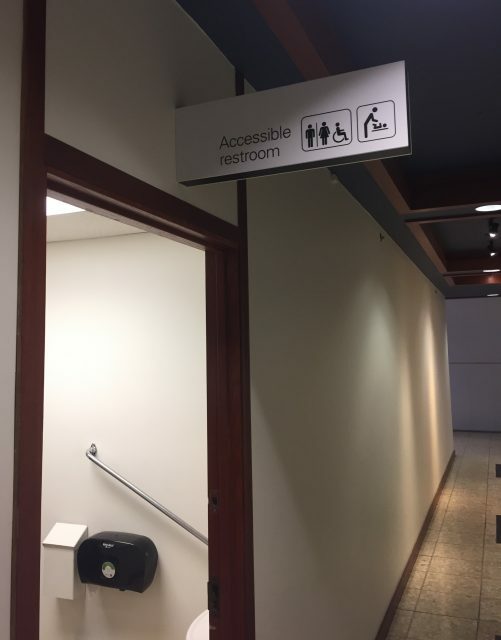 A photo of the accessible washroom inside the Royal BC Museum.